This perfect town car with a very small turning circle is super low on fuel with an affordable price tag. With a built in reverse camera and six inch touch screen makes this vehicle a cinch to park. 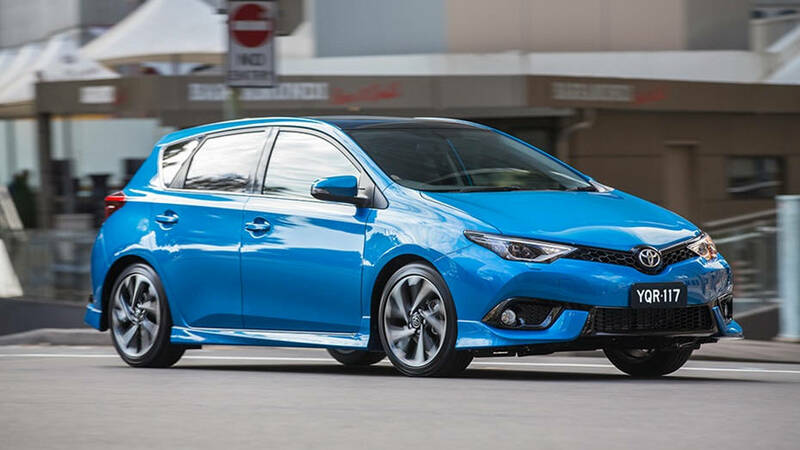 Corolla Hatch is sleeker and more stylish than ever before. With a body shape that’s lower and leaner than previous models, Corolla Hatch combines modern styling with sophisticated aerodynamics, creating a sporty look and delivering excellent handling. Skyview™ Roof is available as an option on Corolla ZR. A panoramic roof that spans the width and nearly the length of the car, it provides you with a unique perspective of the world outside your car. Corolla Hatch features slim headlamps, sculpted into a wide-eyed gaze to emphasise the car’s sleek, sporty design. Ascent, Ascent Sport and SX are fitted with powerful Halogen projector headlamps with manual leveling, which also incorporates a bulb-type clearance lamp. 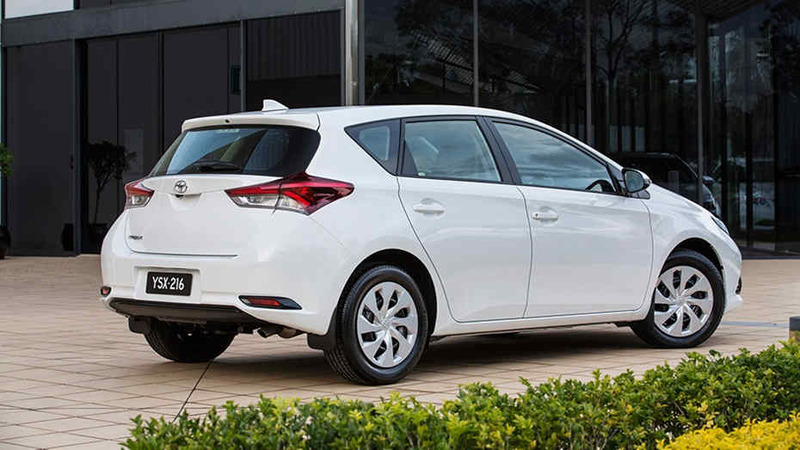 Both Corolla ZR and Hybrid Hatch have been fitted with LED Headlamps and LED Daytime Running Lamps (DRLs). The sloping bonnet and the contrast between the slim upper grille and the wider bumper grille, emphasise Corolla Hatch’s agile stance. 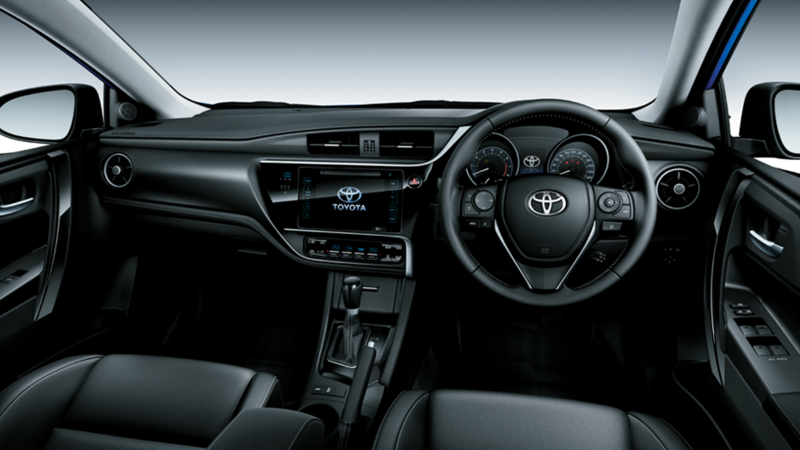 The interior of Corolla Hatch range will have you driving in comfort with a bold design. The interior features redesigned seats, driver console and all the conveniences which make Corolla Hatch interior more versatile than ever before. With front bucket seats, Corolla Hatch is designed to let you and your passengers ride in style. The stylish instrument panel of the Corolla has all the controls within easy reach. With controls on both the steering wheel and console, your hands never have to stray far from the wheel to make an adjustment. A conveniently located Multi-Information Display (MID) will help keep you focused on the road ahead. Corolla Hatch is incredibly versatile, offering more storage options than you might expect from a car of its size, with ample boot space and a number of convenient features. Corolla Hatch boasts a powerful yet fuel-efficient 1.8L, 4-cylinder, DOHC Dual VVT-i engine hidden beneath the sporty aerodynamic styling. Ascent, Ascent Sport and SX are available with a 1.8L Dual VVT- i (Variable Valve Timing with Intelligence) engine with a six-speed manual or seven-speed CVT transmission while ZR is only available with a seven-speed CVT. 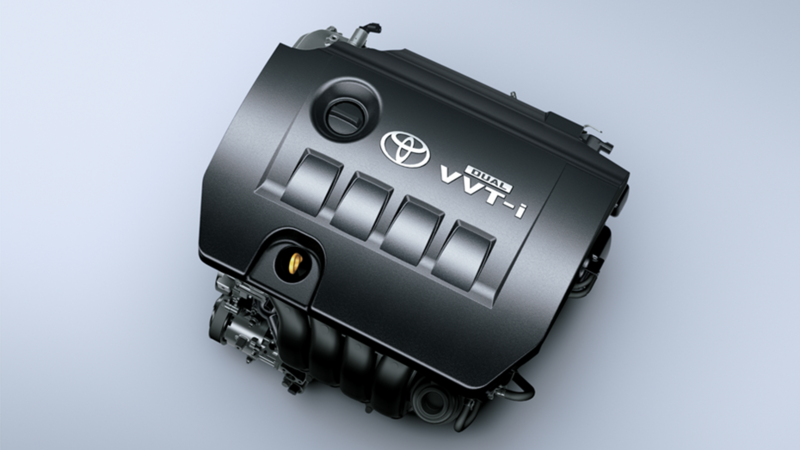 Hybrid Hatch is powered by a 1.8L Hybrid Engine available with a CVT transmission. 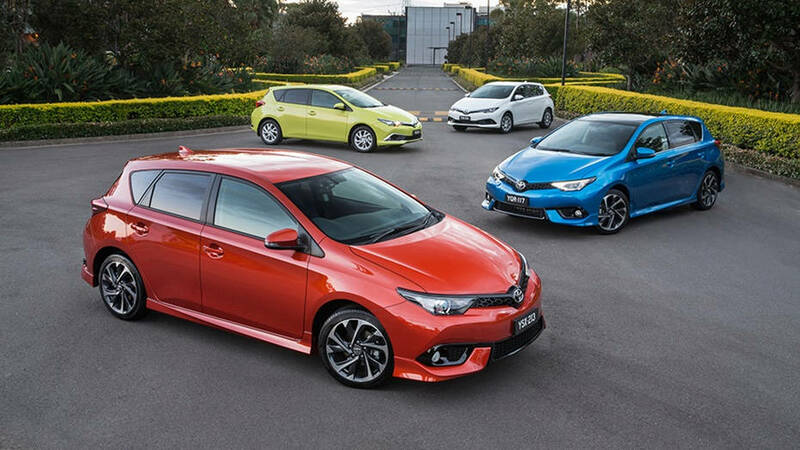 Combining sophisticated aerodynamic performance with sleek, sporty styling, Corolla Hatch features a unique body design with stabilising fins on the mirrors and rear lamps, achieving a drag coefficient of just 0.30. 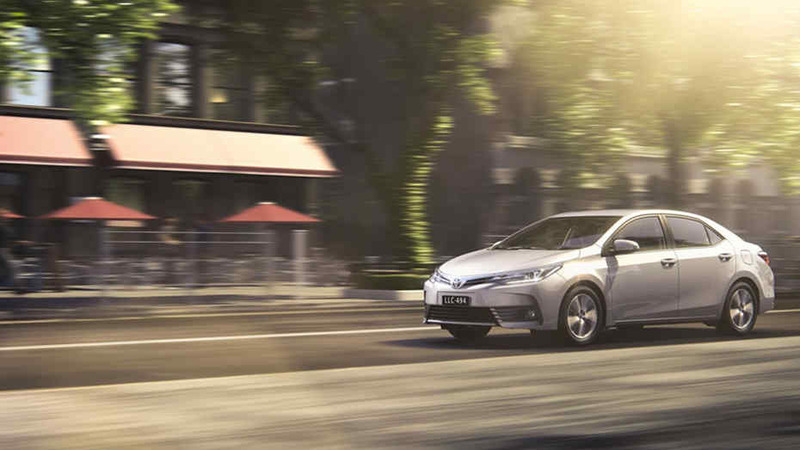 Corolla Hatch’s sophisticated aerodynamic package combined with the highly efficient Dual VVT-i engine results in excellent fuel efficiency and low CO2 emissions[G1]. Every Corolla comes with an ANCAP 5-Star safety rating and is packed with an impressive list of safety features to help keep you and your passengers safe whilst on the road. 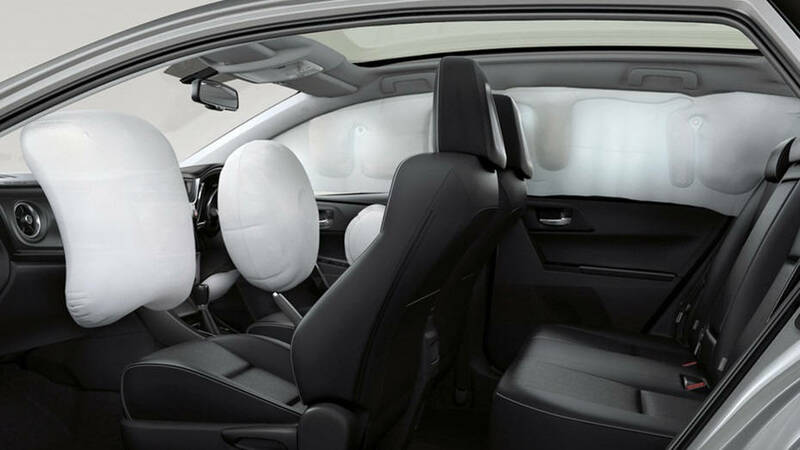 Corolla Hatch is designed with 7 SRS airbags to help keep everyone in the car safe in the unfortunate event of an accident. There are also rear-occupant seatbelt warning indicators, so you can make sure everyone in the car is safely buckled up. After strict vehicle safety testing, Corolla Hatch has been awarded the maximum 5 star ANCAP safety rating. A Reversing Camera[B4] with fixed guidelines comes standard, giving you a clear view of what is behind you on the centrally mounted touchscreen. In order to help protect occupants in the event of a collision, key components of the Corolla Hatch frame are built using high-grade tensile steel engineered to deflect crash energy away from the driver and passengers. Shopping bag hooks in the boot make it easy to fit in all your groceries or keep a fragile item out of the way.